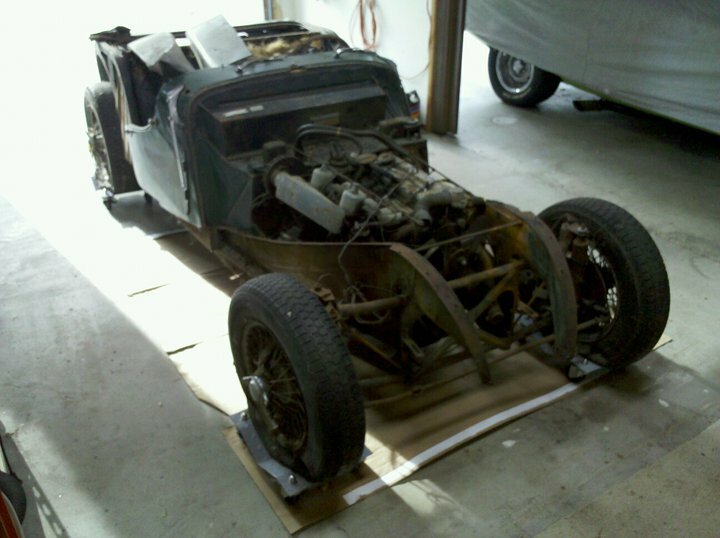 Welcome to MogRod.com, the site where I’ll be keeping track of the restoration / customization of a 1966 Morgan +4. The site’s still pretty basic, as I just got WordPress installed and set up. I’ll be putting up more info soon, and getting some images up as well. For a starter I’ll show you what I’m beginning with. This is the car as it sits right now in the garage.